EOS, the world’s leading technology supplier in the field of industrial 3D printing of metals and polymers, announced in an official release that it has acquired Vulcan Labs to expand its bench of additive manufacturing (AM) experts in powder bed fusion technology, an additive manufacturing technology which fuses powdered material to additively create/build 3D objects. Vulcan Labs was formed by Stratasys in April last year as a new spin-off to advance innovation of Powder-Bed Fusion (PBF) additive manufacturing. The company had established Vulcan Labs to meet the complex demands of end-use production applications with an aim to overcome the challenges in AM such as deficiencies of productivity, quality, and certification. 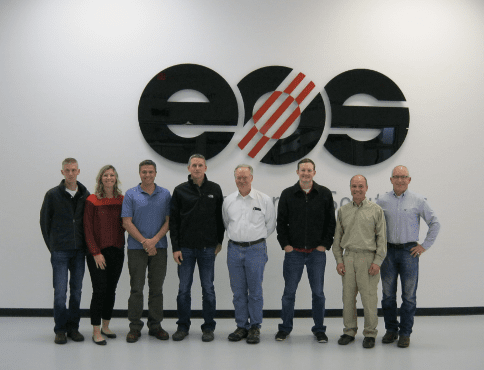 The acquisition of Vulcan Labs by EOS will now help EOS bring decades of industry experience into both EOS’ technical center in Pflugerville, Texas, and its ALM materials research and production facility in Temple, Texas, further strengthening its ability to ensure customer success in industrial 3D printing. “With this acquisition, we have frankly struck the AM talent jackpot. It is rare, indeed, to find such a pool of top technical talent that can immediately bring value to our customers at such a high-level. This acquisition illustrates our commitment to providing the best support for our customers, while continuously challenging the market through internal and external disruption.” With this acquisition of top AM industry talent, we have now formed an entirely dedicated engineering services group solely focused on these types of requirements,” added Fletcher. In addition to the new engineering services group, other former Vulcan Labs engineers have been charged with helping lead the further development and commercialization of the new Integra P 400 polymer 3D printer – a flexible and easily serviceable platform designed for the production of high-quality, mid-temperature AM applications.